[Daily Mail] A British Airways flight was forced to make an emergency landing at a remote Canadian town after suspected toxic oil fumes were reported on the flight deck. 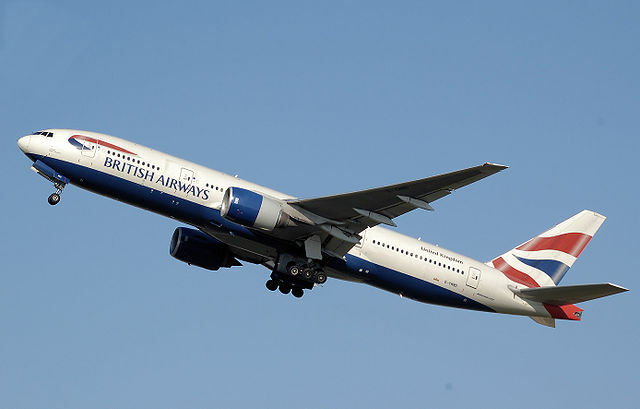 The Boeing 777, carrying 158 passengers from Heathrow to Philadelphia, made the unscheduled stop at Goose Bay, in Newfoundland, in temperatures of -30C after fumes started to cause eye and throat irritation halfway through the eight hour flight. The co-pilot also became incapacitated after he started to feel nauseous nearly half an hour later. 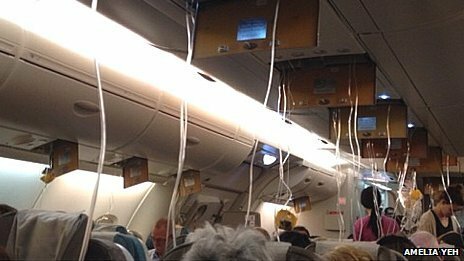 Oxygen masks were then required for the captain and first officer, so they could make the landing last Sunday, according to the Sunday Express. The news comes just two weeks after the first picture was released of one of two top BA pilots who died within days of each other after complaining about being exposed to toxic oil fumes on passenger planes. Last month it was reported Richard Westgate, 43, died after instructing his lawyers to sue BA for health and safety breaches days before fellow pilot Karen Lysakowska, 43, passed away. Both claimed they had been poisoned by the fumes that can contaminate cabin air and which regularly force pilots to wear oxygen masks. 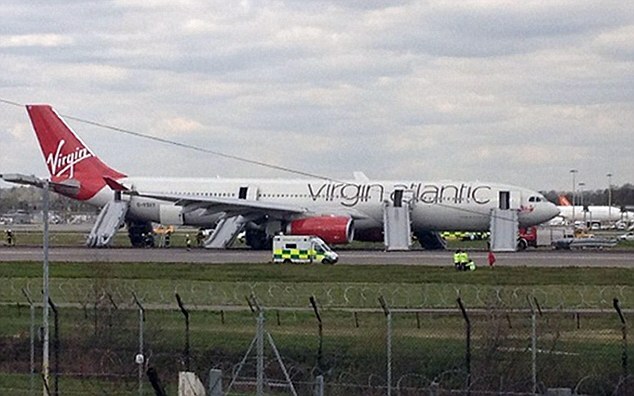 Read the full story at the Mail Online…..
[Gazettelive.co.uk] A holiday jet had to make an emergency landing after an alleged mid-air punch-up involving a Teesside man. 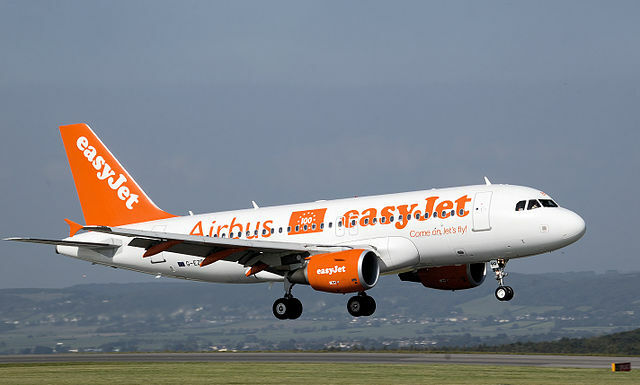 The holiday mood soon turned sour after a row broke out on board an easyJet flight, shortly after it had taken off from Newcastle. 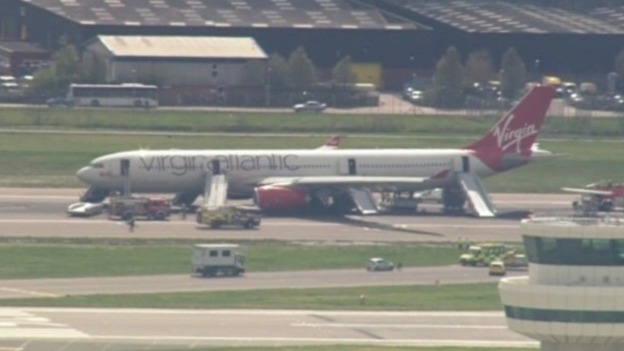 Due to the incident, the plane, which was bound for Alicante in Spain had to be diverted to Gatwick Airport, on the outskirts of London, where a Teesside man and woman were taken off the plane and arrested. The flight on Tuesday evening continued without them, arriving at its destination in the Costa Brava over two-and-a-half hours late. Ross Jameson, 23, a fire service employee of Lawson Close, South Bank, Middlesbrough has been charged with acting in a manner likely to endanger an aircraft. Jordan Summersgill, 19, unemployed, of Fawcett Avenue, Stainton, Middlesbrough, has been charged with being drunk on an aircraft. Both have been bailed and will appear at Mid-Sussex Magistrates’ Court later this month……. [Aviation Herald] A Ryanair Boeing 737 aircraft destined for Ibiza had to make an emergency diversion today after a suspected technical malfunction possibly affected the control the pilots had over their aircraft. 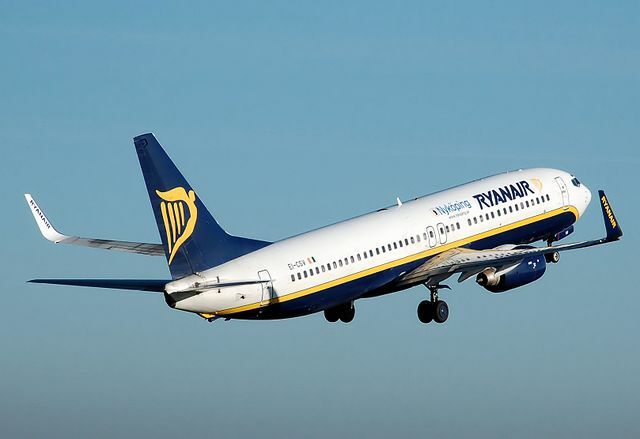 The Ryanair flight from Eindhoven in Holland was on its way to the Balearic Islands resort of Ibiza, when the pilots on-board decided to abort the flight and head for Charleroi Airport in nearby Belgium to attempt a landing. The aircraft was just under 30 miles south of Paris at an altitude of 37,000 feet as the drama unfolded and the crew made their decision to abort the flight. Flight FR3541 landed safely some 45 minute later with the airports emergency services on full standby. Passengers from the flight later spoke of the aircraft rolling violently from side to side as the pilots were prompted to take precautionary actions. Happily within 3 hours of landing at Charleroi Airport a replacement plane was brought into service and took the weary passengers onto their original destination, landing with a 3 hour delay. Orginal report from The Aviation Herald…..